Whenever you are going on a holiday, or you want to move from one place to another with your family, you would prefer to be updated about your flight after time to time. Unfortunately, it is very difficult to get time to time updates by asking someone or by searching on the web. You cannot waste your time by asking the airport staff either. In this situation, if you want to get rid of these hassles and worries, you can try a flight tracker app. 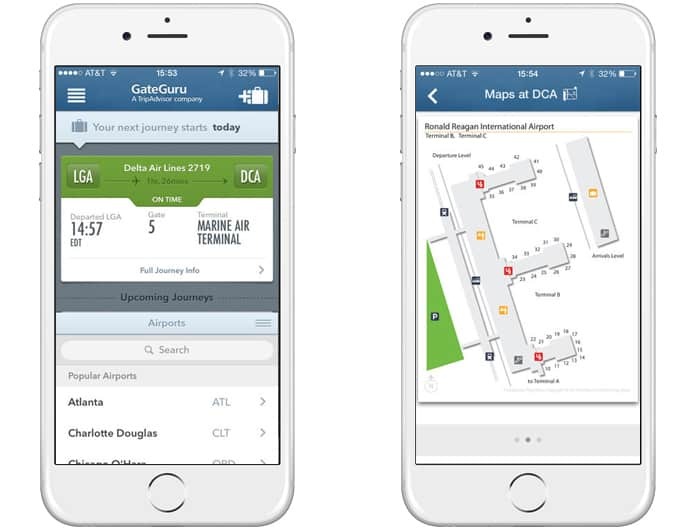 In this post, we will present you the best flight tracker apps for iPhone. Today, a plenty of flight tracker apps are available on the App Store that you can install on your iPhone or iPad. It is very easy to install and get all the information about your flight. 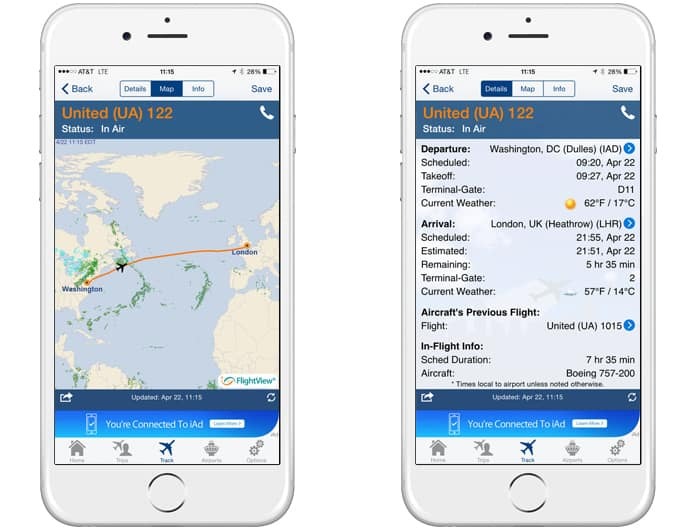 When you install a flight tracker app on your iPhone, it will allow you to have the entire information about your flight. It includes everything like its arrival time, its departure time, its route and its flight intervals during long travels. It means you will get enough info about your flight. It will also tell you if your flight is late or not and if so when it will arrive at you. So, here we will grant you the best flight tracker apps that you can get from App Store. Now have a look at the apps name with a short description. GateGuru is an amazing app that provides you a lot of features regarding flight tracking service. You can install this app from App Store for free. It will give you all the flight tracking features on a simple and user-friendly interface. Not only this, you can see many other things like the weather, the flight’s timings and the airport and flight services you are going to use. It will also provide you check in and check out information regarding your travel. In other words, you will get the complete package by installing GateGuru on your iPhone, iPad or iPod Touch. 2. 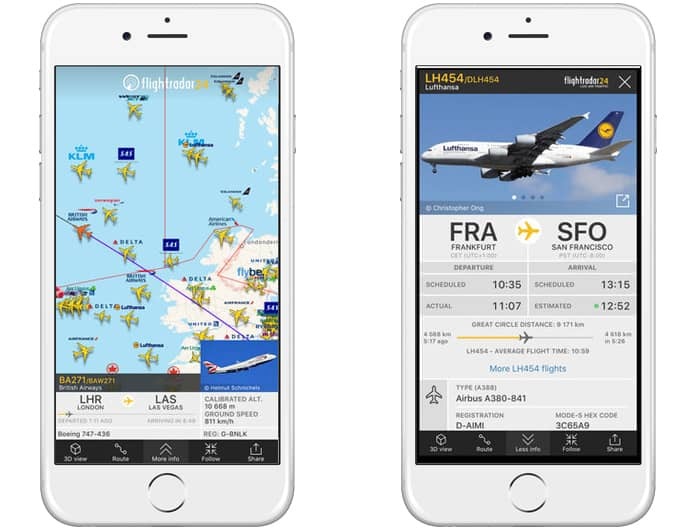 FlightView – Flight Tracker App for iPhone, iPad, and iPod touch. If you need to make your own flight travel plan, FlightView is best for you. You can track your flights, their current positions and their arrival and departure times. You can also get access to the features and services of your current flight. You can add different activities and plans to your trip, and FlightView will let you know after time to time. The genuine concern about this app is it is available on the App Store for free. Simply install FlightView and forget about your flight travel worries. Flightradar24 is a fantastic application that gives you real-time statistics of flights. It is just like you are controlling flights through the airport flights command center. It will provide everything related to flights including arrival and departure times, latitude, speed, route and their services. It’s really a fun thing to have an eye on the flights with real-time statistics. This app also supports augmented reality view which is a lot of fun. You can obtain this app from App Store in just $2.99 use it on iPhone, iPad, iPod touch or Apple Watch. 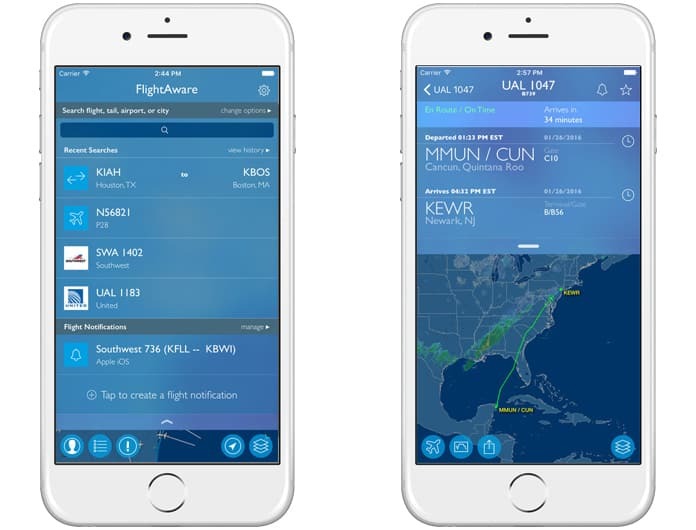 FlightAware Flight Tracker app allows you to track the real-time flight status worldwide. This app has tracking map of any commercial flight and it can track private charter in Canada and USA. 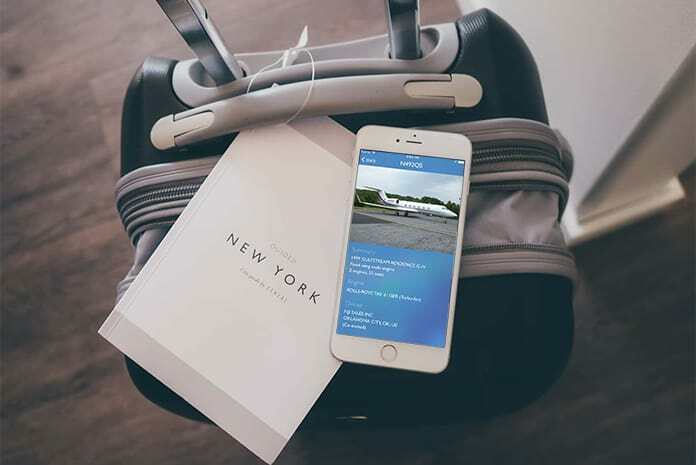 All you need to do is to write your flight number, airline, aircraft registration or airport code and this app is going to give you full information about your flight. The best thing is that this app is free and compatible with iPad, iPhone, and iPod Touch. This app will show you how long is the security checkpoint line at the airport and it works with simple social sharing. 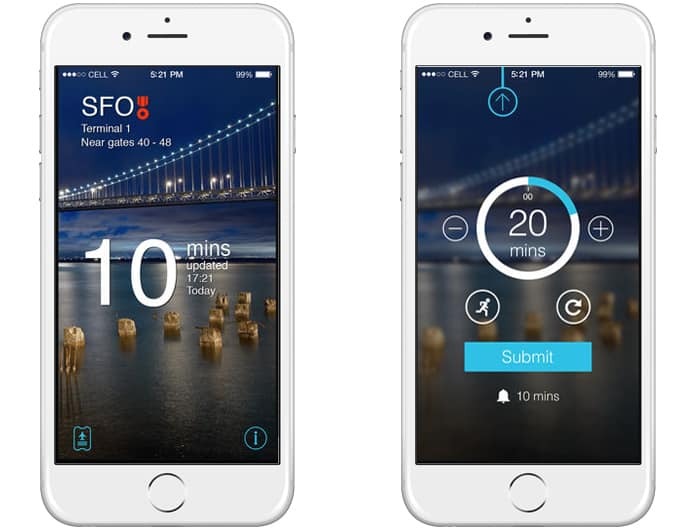 MiFlight – Airport line wait times provide crowd-sourced updates from travelers – at more than 100 of the busiest global airports and over 100 of the top airports in the U.S. This app is compatible with iPhone, iPad, and iPod touch and you can get it for free from App Store. We hope that you liked our list with the best flight tracker apps for iPhone, iPad, iPod touch and Apple Watch. Feel free to leave your comments in the section below.